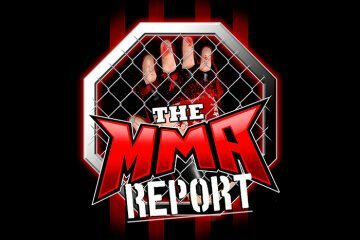 On the Halloween edition of The MMA Report Podcast, Jason Floyd and Daniel Galvan get you ready for Saturday’s UFC 230 pay-per-view by previewing the fight card. Before they get into previewing UFC 230, they discuss a tweet that was sent out on Tuesday by FloCombat. The tweet listed twelve UFC fighter and said pick two fighters to stay in the UFC and the other ten get released. They breakdown the list and tell you their thought process on how they picked their two fighters. Up next is their preview of Saturday’s UFC 230, which will take place at Madison Square Garden in New York City. From the heavyweight title main event to the prelims on UFC Fight Pass, Jason and Daniel breakdown the entire event and give their pick for the main event. Speaking of UFC 230, if you are looking to make a bet on the fights, MyBookie has a special offer for The MMA Report Podcast listeners. Log onto MyBookie right now for your last opportunity to collect the industry’s biggest bonus. Use promo code MMAREPORT and you’ll get your first deposit matched 100 percent. Following their preview of UFC 230, you will hear three interviews Jason has done over the past couple of days. Up first is MMA manager/coach Tyson Chartier. 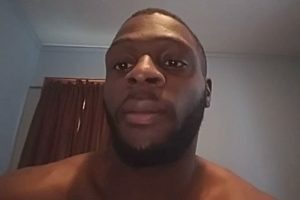 He speaks about the fighters he had on last week’s UFC card, a pair of fighters he has on Friday’s CES MMA card and gives his perspective on other aspects of MMA. Up next is Montel Jackson, who will be facing Brian Kelleher on the preliminary card of UFC 230 on Saturday. Montel talks about his time in the UFC, his path to mixed martial arts and the potential of fighting in Milwaukee next month. And in the final interview, Jason speaks with undefeated Canadian lightweight prospect Anthony Romero. He will be fighting next weekend in New York at the King of the Cage event and he previews his matchup against Alex Wiggs Jr.
After the conversation with Romero, Jason and Daniel breakdown the “trade” between the UFC and ONE Championship involving Demetrious Johnson and Ben Askren. The guys offer their thoughts on the move, the future of the flyweight division in the UFC and what matchup could be up first in the UFC for Askren. And they wrap up the podcast by discussing various MMA news items including Kevin Kay being out at Viacom. All of that and much more on this edition of The MMA Report Podcast and be sure to check out our friends at Roman, which is a one-stop-shop where licensed US physicians can diagnose ED and ship medication right to your door. With Roman, there are no waiting rooms, awkward face-to-face conversations, or uncomfortable trips to the pharmacy. You can handle everything discreetly online. For a free online visit, go to GetRoman.com/MMAREPORT, fill out a brief medical onboarding, chat with a doctor, and get FDA-approved ED meds delivered to your door in discreet, unmarked packaging.